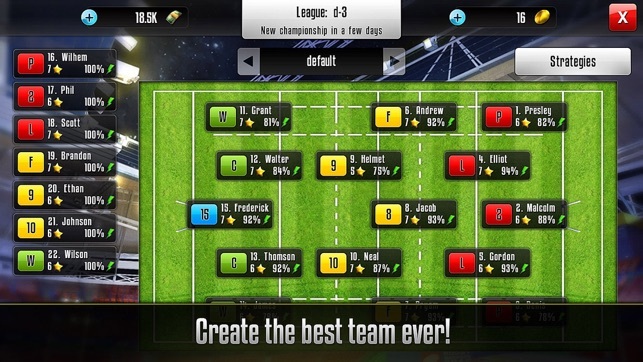 Become a rugby manager ! 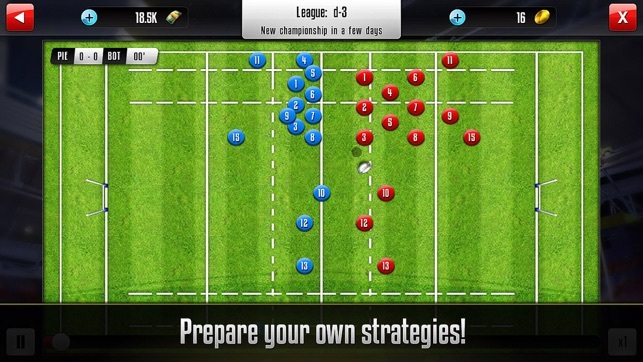 Create your own rugby club, train your players, prepare the best strategy and win the championship. 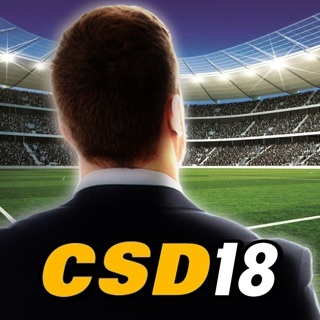 Play against your friends or other players in many competitions and show off your management skills! 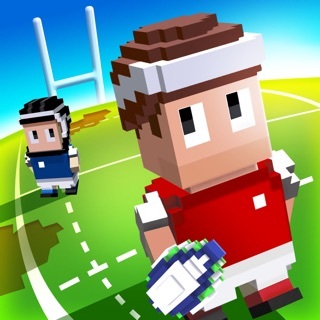 Please note that Rugby Manager is completely free to play but some in-game items will require payment. 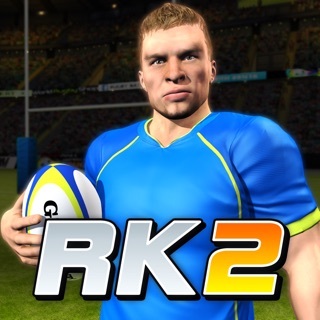 Spent time recruiting high level players that seemingly had no idea how to play rugby. 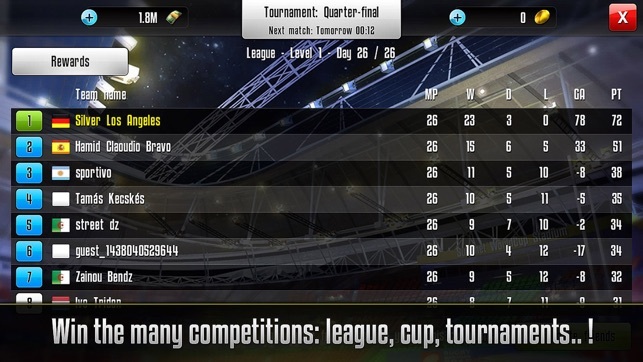 Strategy adjustments did little to help if at all. 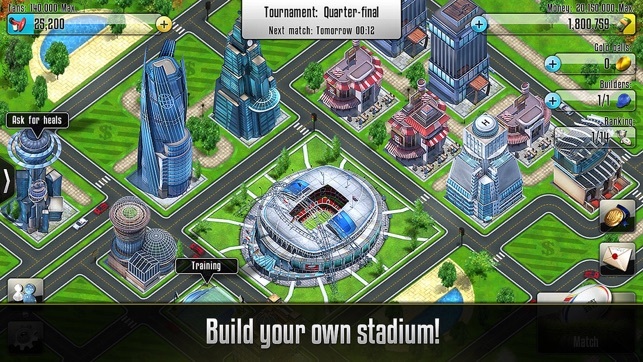 It’s a great simulator if you want to build a rugby town but nothing more. Fun to play. 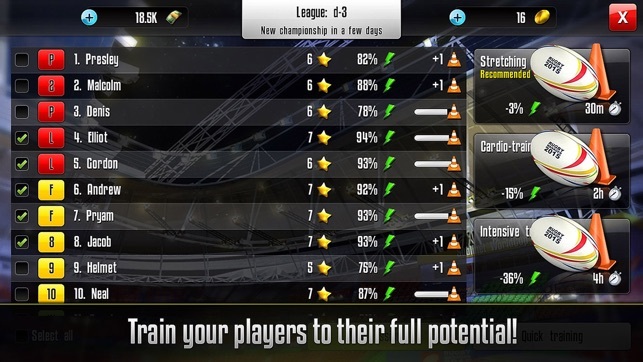 Very interactive with the strategy of the team and even with each individual player on your team. The game developers can increase the maximum level your buildings can be but cannot fix the video watching reward system. You regularly need to watch seven to eight videos to get credit for the maximum of six you are rewarded for.